The newest powerful work of historical fiction from award-winning author of THE LIONS OF LITTLE ROCK Kristin Levine. Kristin Levine lives in Alexandria, VA with her two daughters. 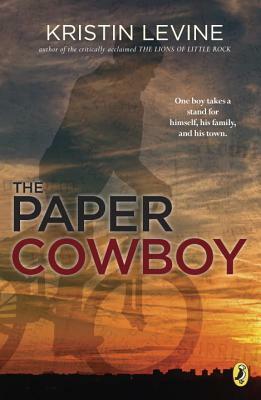 The Paper Cowboy is her third novel. • Multiple Mock Newbery lists, including Anderson's.